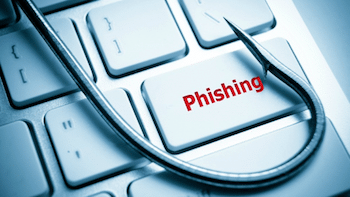 Phishing scams: Knowledge is power! One of the most popular ways phishing thieves try to dupe unsuspecting victims is to create emails that appear to be from someone you know. But the URL of the sender will often be mismatched—meaning that if you hover over the URL from the sent address, it will not match the one that appears. For example, if you’re receiving a message from Amazon.com, the URL should say Amazon.com and when you hover over it, it should match. If it doesn’t beware—and by all means, don’t open it. Poor grammar and spelling spells trouble! Although errors are not impossible, most companies and organizations have dedicated workers writing and proofreading the emails they send out to customers and potential customers. Phishing emails often contain many spelling and grammatical errors—so if you receive one that has typos, it’s likely to be a scam and should be deleted. Banks, credit card companies and other organizations will never ask you to provide your username and password in an email. They’re also not going to request you provide account numbers, your social security number or any other personal information—even if the message looks like it’s from your bank, credit card company or any other company, never provide any confidential information via email. If you receive a message that announces that you’ve won a big prize, and that all you have to do is click on a link or message back with your bank account number, etc. you can be sure it’s a phishing scam. No reputable sweepstakes will solicit your personal information through email. Emails that ask you to send money to cover expenses or help a long lost relative who’s stranded in another country get home are never legit. Phishing scammers will even go so far as to give you a bank account number to wire the money into. The FBI wants to hear from you. You can rest assured that if you receive an email from someone claiming to be the FBI, CIA or IRS, it’s the work of a scammer and not to be trusted. Government agencies will not request information from you via email, if they want to talk to you they will send you a letter through traditional mail. Protecting yourself from phishing scams is another way to prevent identity theft. Much like safeguarding your personal and confidential information by shredding outdated documents, make sure that you don’t unintentionally give a thief access by accidentally falling prey to phishing techniques. Talk to us about how we can help you permanently destroy documents and hard drives you no longer need to protect confidential information. Call All Points Mobile Shredding at 772.483.2152 and we’ll work closely with you to set up a shredding schedule at your office or home. Dawn is the vice president of All Points Mobile Shredding. All Points Mobile Shredding is a family-owned and operated on-site document destruction company that has been serving the Treasure Coast, Palm Beaches, and surrounding areas since 1994.